GoodJet Enterprise Co., Ltd. was founded in 1993. Since then, the firm has upheld its core values by continuing to roll out innovation and designing K/D wooden-made and metal-pipe furniture for customers to enjoy the best and complete package of quality and services. Our furniture selections are made from wood and metal piles, ranging from television racks, wardrobes, coat hangers, storage racks, microwave racks and console tables. 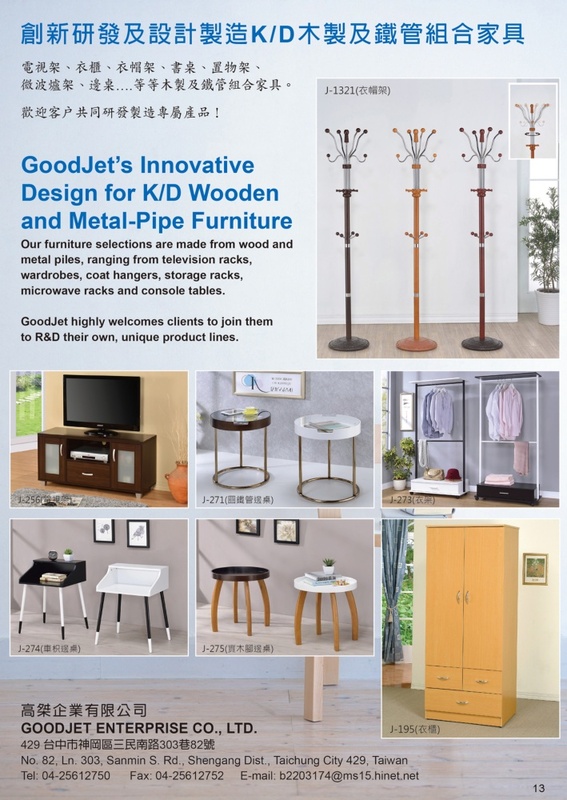 GoodJet highly welcomes clients to join them to R&D their own, unique furniture product lines.